Thank you for this album, it is very fine sung. But there is a mistake: „Der Freund“ is missing. Under the title Der Freund is the Lied „Fühlt meine Seele“ repeated a second time. 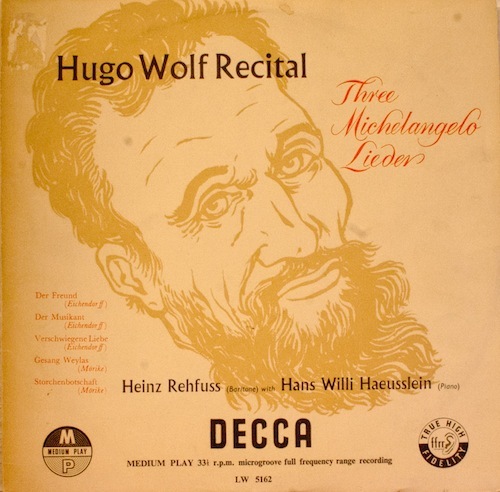 Maybe you can correct this, as „Der Freund“ is also a very fine Hugo Wolf Lied! i will correct this in the next time. thank you! Thank you very much for this – I already love Rehfuss as a Mozart and Mahler interpreter. It’s a great pity that you seem to have ceased publishing your blog, as you have excellent taste.